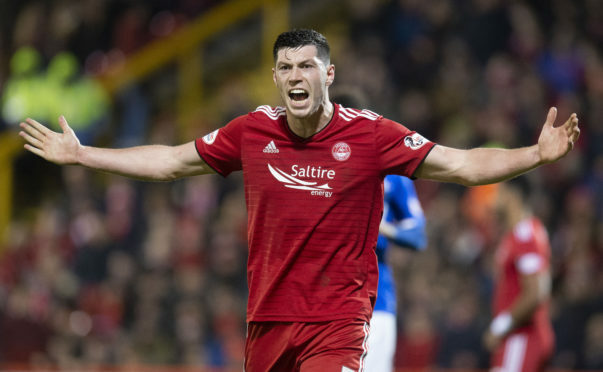 Scott McKenna was sent off against Rangers last night. Aberdeen manager Derek McInnes felt Scott McKenna was naïve in getting dismissed for his tangle with Alfredo Morelos. 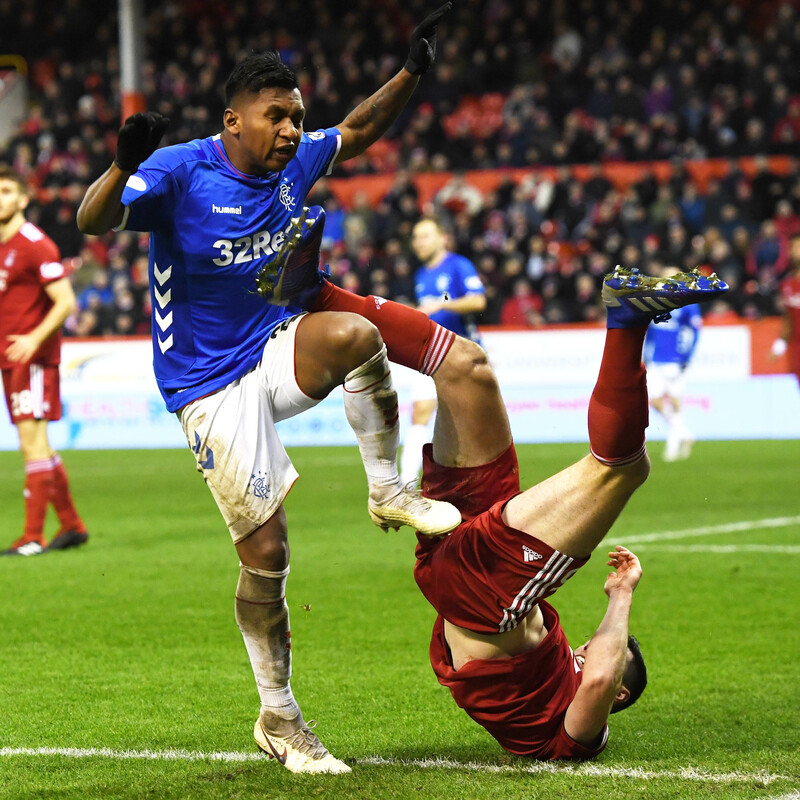 The Dons were beaten 4-2 by Rangers at Pittodrie last night, with both Morelos and McKenna sent off by referee Bobby Madden – Morelos for the third time this season against Aberdeen. Morelos had earlier scored twice and James Tavernier converted a penalty, given for a handball against McKenna, with Sam Cosgrove bagging a brace for the Dons. Jermain Defoe’s late strike put the icing on the cake for the visitors. McInnes said: “My first thoughts with McKenna and Morelos is that both red cards are right. McKenna is maybe guilty with a bit of naivety with Morelos, as he’s got previous with his antics. “I think we were unfortunate with the penalty – McKenna was appealing for offside. There’s no real complaints but it’s really unlucky that it’s hit his arm. The response to going behind was good. Rangers’ movement at the top end of the pitch was very good. McInnes hailed his side’s second-half efforts, claiming they had Rangers “hanging on” in the second half as they pushed for an equaliser. He added: “3-1 down to a very good Rangers team at home is a tricky circumstance. We asked the players to win the second half and I thought we were fantastic. The two players being sent off took a huge part away from Rangers. All of a sudden they were hanging on and it was all us. Maybe for another refereeing decision – (Allan) McGregor coming through (Lewis) Ferguson – and us not rushing our chances, we might have took something out of the game. “When Morelos is on his game like he was tonight, he’s a star. But after he went off it felt like one-way traffic. I couldn’t criticise my players’ reaction – I’m disappointed with one or two of the goals but sometimes the movement of their front players causes you problems. We worked hard to get Greg Stewart central in the first half and I don’t like playing Greg out wide, but he was outstanding out there. He tortured (Borna) Barisic in the second half.